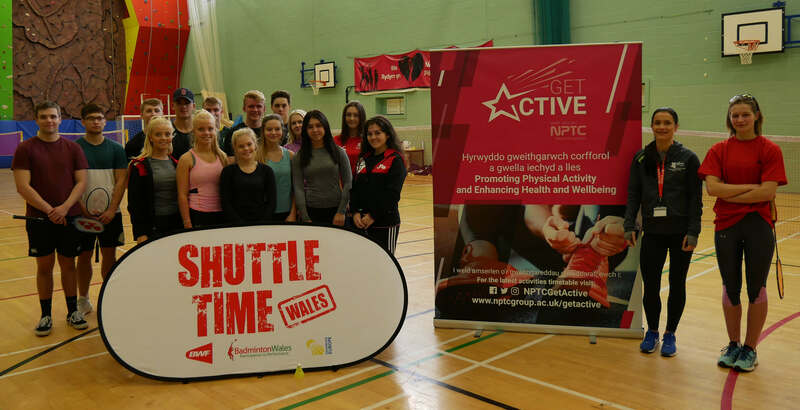 NPTC Group of Colleges Launches Get Active! NPTC Group of Colleges proudly launches its ‘Get Active!’ campaign targeting staff and students who would like to get involved in new and exciting physical activity opportunities across the College. Headed by Lindsay Piper, Sport and Physical Activity Senior Officer, the campaign aims to provide advice, guidance and opportunities to individuals seeking to live a healthier and more active lifestyle. You could be forgiven in thinking that Lindsay Piper being the newly crowned Pure Elite Pro World Champion ‘Bikini Athlete’ 2017 herself wouldn’t necessarily be the first choice of people to understand the barriers individuals face when trying to access physical activity; however, there couldn’t be anyone better. Lindsay is a true example of how someone in a difficult and stressful situation in their lives changed it all for the better through becoming more active and achieved more than just a new healthy body in the process. Following the closure of her designer children’s clothing shop ‘Little Nation’ during the credit crunch, Lindsay found herself out of work and slowly but steadily gaining weight through inactivity and an unhealthy lifestyle. Time for reflection and a desire to change her life led Lindsay to remember her happiest memories which included volunteering with disability sport and soon Lindsay found herself wondering if she could make this a career path. Lindsay lost almost 4 stone in weight, and following the completion of her foundation degree at Llandarcy Academy of Sport, went on to achieve a BSc Sports Coaching and Performance degree achieving First Class Honours at the University of South Wales. She has just completed her Masters qualification in the same discipline. The ‘Get Active’ campaign is already seeing results with yoga sessions, functional fitness classes, a recreation netball club and disability multi-skills sports club already taking place around the campuses. Next on the list is the development of an outdoor adventure club, and a calendar of health and fitness events to encourage involvement across all College sites.